Beverly has an intense fragrance. Classically formed Hybrid Tea flowers. 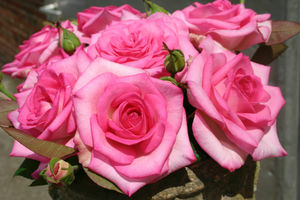 A blended pink color with light pink outer petals and darker pink centers. Beverly won the fragrance award in Germany in 2008 and in France in 2010.